EIGHTY FOUR, Penn. 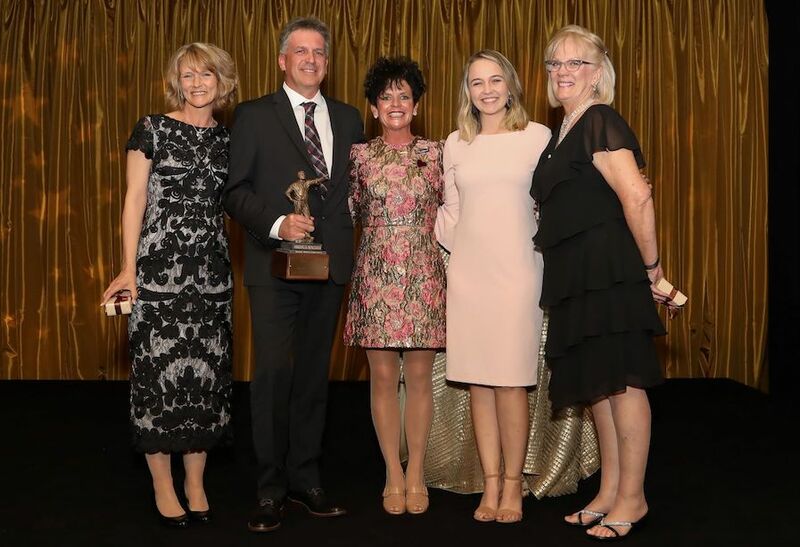 — 84 Lumber announced its 2018 Rookie and Manager of the Year winners at the company’s awards banquet Friday, March 8, at Nemacolin Woodlands Resort in Farmington, Penn. The two awards are the most notable of the annual ceremony, which honors 84 Lumber’s top performers from the previous year, the company says. Other honorees included Area Manager of the Year, Buyer of the Year, Hauler of the Year and more. Various merit awards were also presented for best sales performance and improvement. 2018 Manager of the Year: Chuck Frerichs, Chandler, Ariz.
Chuck Frerichs and his family with 84 Lumber President Maggie Hardy. Frerichs has managed the 84 Lumber in Chandler, Ariz., since it opened in 2005. Under his leadership, the store reached nearly $80 million in sales in 2018 — a $20 million increase from the prior year. Frerichs’ hands-on approach has been instrumental to the store’s growth, but he’s quick to acknowledge that success is a team effort. With 55 associates, 70 to 100 daily loads, and 15 delivery trucks, the store is poised for another strong year in 2019. 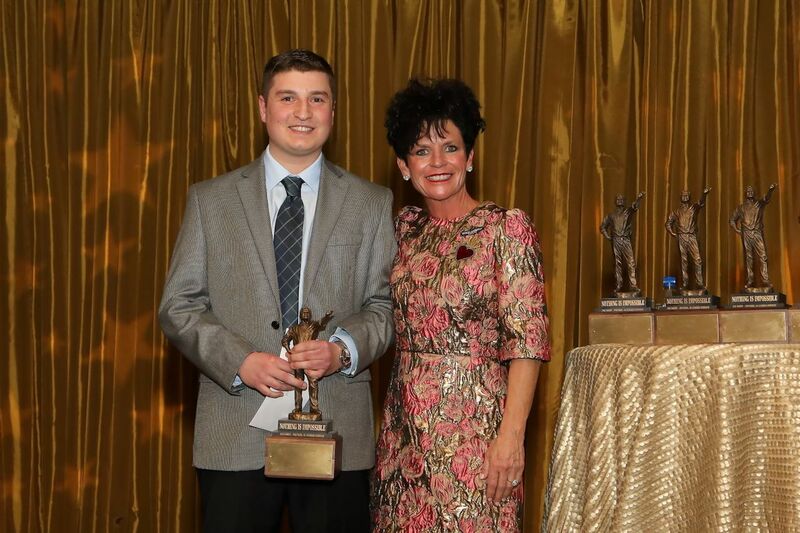 2018 Rookie of the Year: Nick Luchonok, co-manager, Oakland, N.J.
Nick Luchonok with 84 Lumber President Maggie Hardy. Luchonok is 84 Lumber’s third consecutive Rookie of the Year. After starting at the company in January 2018 as a manager trainee in Lords Valley, Pa., he was promoted to co-manager in Oakland, N.J., last August. Luchonok has brought an ambitious nature to his role. One of his primary goals as co-manager is to refamiliarize the store’s contractor customers with counter service. While he’s currently focused on improving sales and operations at Oakland, Luchonok has aspirations of one day managing his own store. Dan Giacomin, Oakland’s manager, believes he’ll go far with the company.